Many people are so preoccupied with the stumbling blocks in their path that they have little time for the building blocks necessary to construct an exemplary life. Pat Williams believes it's time to clear the road and get on with the business of living a more fulfilling life. The culmination of twenty-five years of research and a lifetime of experience, this book challenges readers to get off the bench and throw themselves into living to their greatest potential. Williams is cofounder of the Orlando Magic, host of a radio show, father of nineteen children including fourteen he and his wife adopted, and an avid collector of stories and quotes. Williams delivers a rallying cry to anyone ready to become the champion God intended. 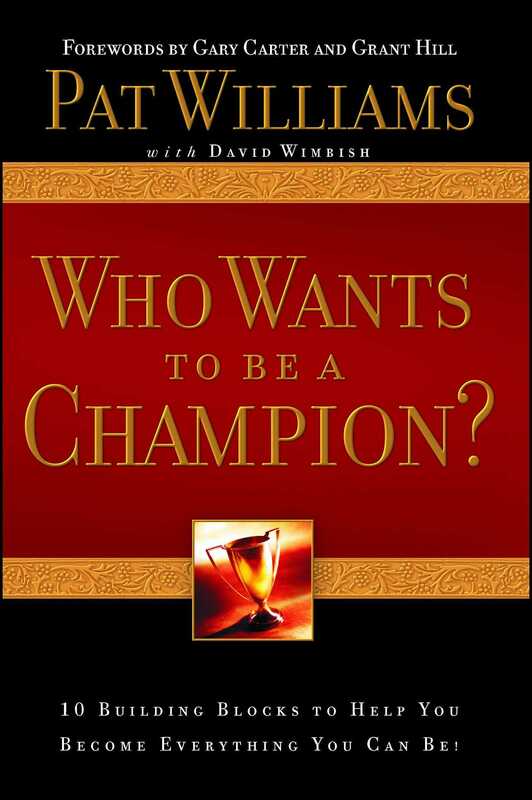 Book Cover Image (jpg): Who Wants to be a Champion?